Judges are generally hesitant to take matters out of the hands of a jury, but Tarrant County District Judge Dana Womack seems downright eager. The record award of $13.7 million is gone like smoke and now it is the plaintiffs who must fork over court costs. In other words, Womack didn’t just call for a do over; she arbitrarily inserted her personal judgment for that of the jury. If the article below is anything to go by, the case seems to turn on the judge’s doubt that statement’s allegedly made by the defendants, Shannon Coyel, Gerald Coyel, Charlie Doescher and Pat Doescher, could actually be traced to these individuals. I doubt we have heard the last of this story. A Tarrant County judge has thrown out a jury’s nearly $14 million Internet libel verdict in a case that garnered national attention and was called the largest such award involving online defamation. 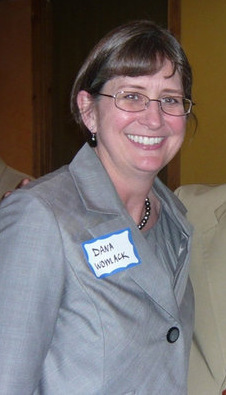 With her ruling, state District Judge Dana Womack sided with the defendants who argued that the jury’s verdict was not supported by the evidence. The judgment, signed late last week, does not explain her reasoning. Womack declined through a court official to comment. One of the defendants said he understood that the jury had wanted to send a message with its decision. “But if you’re going to penalize somebody for doing it, make sure you get the people who did it,” said the defendant, Charlie Doescher, who lives in Kennedale. The case originated after a woman employed by Mark and Rhonda Lesher accused them of sexually assaulting her. They were indicted but acquitted at trial. The Leshers later sued, saying the woman and her husband, along with their employees, smeared them in blog postings to ruin the Leshers’ reputations. The case took years to get to the jury. In April, a Tarrant County jury voted 10-2 to award the couple $13.78 million. Defendants Shannon and Gerald Coyel and Doescher, who worked for the Coyels, were ordered to pay varying amounts of the award. In a motion filed last month, the defendants’ attorneys argued that no evidence presented to the court tied them to the posts. A review “will show the IP address allegedly tied to Gerald and Shannon Coyel’s home is nowhere to be found,” the court document said. The motion also argued that no evidence supported an award of mental anguish for the Leshers, nor was there evidence that their reputations were injured and Rhonda Lesher’s beauty salon lost profits. Rhonda Lesher, who said she moved after the online posts wrecked her business, said Tuesday that the verdict’s reversal was a “slap in the face.” She said the couple plan to appeal. Lesher said the couple sold their ranch to pay for attorneys and have paid civil and criminal trial costs of more than $1 million. The couple still have a suit pending in Collin County against district attorney prosecutors for malicious prosecution, she said. “The amount of torment and pain we have endured it’s really hard to put into words,” she said. According to the lawsuit, Shannon Coyel, a former client of Mark Lesher, an attorney, accused the Leshers and one of their employees of sexually assaulting her. The criminal trial was moved to Collin County because of pre-trial publicity, and the jury acquitted all three in January 2009. Coyel said the trial was “humiliating” and that she saw a counselor for more than two years to deal with her experiences, including the ordeal with the blog posts. She said she copes through “My faith in God. I go to bed every night and I pray God takes my worries away,” she said. Media reports about the jury’s verdict angered her, she said, because they came before the case was closed. Coyel said she was never worried about the money that she was supposed to pay — roughly $2 million. “They would never get a dime from me because I don’t have a dime to give them,” she said. She also said that the blog posts disgusted her and that her husband barely uses a computer. “Just to even read [the posts], there’s got to be something mentally wrong with you,” she said. The judge, she said, did an excellent job and followed the law in her ruling. Doescher, who also had been ordered to pay money, said he did not know the Leshers and had never seen them until he walked into the courtroom. “They were out for revenge,” he said. In her ruling, Womack orders the Leschers to pay the defendants’ court costs. Judge Joe Spurlock II, a law professor at Texas Wesleyan University School of Law, said judges have the ability to disregard jury verdicts, dismiss the case and have it retried or allow a person who wins to agree to reduce the award. Judges in U.S. courts can set aside a verdict when they believe that it was somehow unjust, biased, prejudiced or otherwise compromised, said Spurlock, formerly a district judge in Fort Worth who also served on the appellate court.